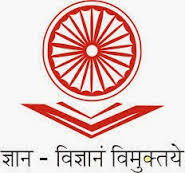 Today Distance Education has become the savior of millions in India. This mode of teaching has enabled countless underprivileged children’s and students whom family background does not support a regular mode of education to get educated and lead towards a good life. Education is the most important asset in the life of an individual and every person has a right to get educated. Distance Education has a very sensitive nature as students studying at homes are not having a teacher or a professor to help them with their studies; they only have the course material to lean onto. Thus, it becomes very important to maintain a quality standard of education in these courses. Why is there a need of a regulatory body? Regular courses can be maintained easily because they are under continuous supervision of teachers and management. The real problem arises is in the distance education where students are not in constant touch with the teachers. In these cases, course material acts as the guide for the students. If the course material is not efficient enough in providing the basic knowledge to the students, then it is of no use as it will waste both time, money and other resources of the students and the university. But how do we keep a watch and maintains the quality of education in thousands of universities. The solution is to form a body which governs all these procedures. It can perform all the functions related to distance education. This regulatory body gives the guidelines and recognition to several institutes to carry out distance education program. Distance Education Bureau overlooks all the procedures related to the distance education like guidelines for the admissions, format of course materials, giving affiliation to the colleges/Universities and conducting the examinations in various colleges. Distance Education Bureau is formed by the Department of Higher Education to regulate functions in regards to education in distance education programmes of higher education. These functions have now been vested with the university grants commission. The main role of Distance Education Bureau is to make sure that each university complies with the rules and standards so as to maintain a quality standard of education in all of these programs. If the course material is adequate enough then it will provide good knowledge and incorporates key skills in the students. Thus, it becomes very important to keep a check over these colleges and keeping them in accordance with the standards and Distance education bureau is keeping its role justified. Before Distance Education Bureau, all of these functions were handled by the Distance Education Council. The function of this body were same as now but with change in time and technology, a new improved version of this body was felt needed. Due to this reason, Distance Education Council got dissolved and was undertaken by Undergraduate Council. After undertaking all the functions and responsibilities of the body, UGC is now in the process of forming new regulations for the distance education programs. It is done due to the fact that old rules and regulations are now outdated with current time. The change in time has led to a complete change in the subjects and the courses offered in the distance education. With change in time, everything gets outdated and has to be replaced with a new one. The course books and their contents have to be replaced from time to time and to stay updated, students should be provided with the best possible education standards. New colleges and affiliation and their license renewals also falls in this department. A proper record of above mentioned things has to be maintained and in the case of distance education, the record has been kept by distance education bureau. Unlike any regular course, they don’t get regular classes and have other responsibilities also to perform. So the course should be designed in such a way that the students don’t need a teacher to guide them and should understand it on their own. The examinations are also to be set in accordance with the body to maintain a standard procedure and format of all the examination papers throughout several universities. With UGC, it is framing new regulations, the old rules and regulations of the former regulating body DEC has to be vanished and all the universities falling in this category has to act upon the guidelines of distance education bureau.